Here at Design and Promote, we understand that running a business often means having to manage a wide range of functions and tasks. Regardless of an organization’s size and scope or even industry, virtually all internal staffers, at one point or another, find themselves absorbing an extensive range of operations that may not necessarily fall within their initial job description. Many leaders assume that having their internal teams manage any and all required functions is the only way to save money and keep their companies running as financially soundly as possible. Unfortunately, always assigning functions that fall outside your or your team’s core competencies doesn’t always prove a positive business move. Yes, there are times when straddling various projects and assignments ensures streamlined operations. However, there are occasions when outsourcing tasks to a qualified firm can yield a wide range of benefits. Case in point: online marketing strategies. Due to their relatively new arrival on the promotional scene, many business owners feel reluctant to hire a team to manage their online marketing image. In theory this may seem like a savvy business move, but in practice, many entrepreneurs quickly find themselves struggling to gain momentum and traction in a field that they know very little about. At Design and Promote, as a leading SEO company in Chicago, we often partner with companies that have initially attempted to manage all their online marketing needs internally, with little to no tangible results. Frustrated with their own efforts, but understanding that online marketing does have proven merit, they turn to us to help them effectively establish their online brand image and connect with consumers everywhere. 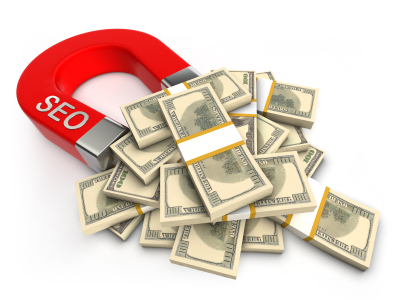 The benefits our clients receive when partnering with our professional SEO company in Chicago is extensive. First and foremost, clients at Design and Promote realize that they have entrusted their business to in-the-know industry experts. Rather than continuing to struggle with the vast assortment of marketing options available online, partners of Design and Promote have us working diligently on their behalf to cut through the options that yield little to no results and instead focus on the resources that will deliver maximum return on investment. Additionally, as an innovative SEO company in Chicago, we not only focus on the most fruitful marketing techniques available, but we also offer customized strategies and solutions. All too often, business owners feel that they have to settle for cookie cutter campaigns. This is simply not the case. At Design and Promote we create a personalized plan of action that falls directly in line with your other marketing campaigns and goals for optimal results. Most importantly, choosing us as your SEO company in Chicago means that you’ll receive virtually real time reports and analytics throughout our professional partnership. Our data will outline every piece of your strategy to highlight what is working and what may need modifying in upcoming promotional phases. Best of all, by choosing Design and Promote as your go-to SEO company in Chicago, you’ll instantly enjoy an uptick in your team’s available bandwidth. You and your staff will gain invaluable time needed to focus on whatever it is that you do best, while we make your business needs a top priority doing what we do best!